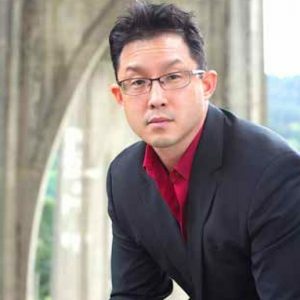 Jason Gong began his career in investment management and marketing in the early 1990’s holding positions at both Bank of America and Wells Fargo. An enthusiastic and driven professional, Jason’s passion resides in creating lifelong relationships with his clients. During the 2008 economic downfall, Jason decided to create a holistic financial platform that extends beyond specific industry silos. He believes in order to stave off significant downturns, there must be an understanding of the client’s overall portfolio mix, supported by a client’s overall wants. Thus, he created Lifelong Wealth Management Group. In his spare time, he enjoys rough housing with his boys, going on romantic dates with his wife, golfing, and fishing with his clients. Jason chairs the NW Spine Foundation. He is also an officer of the Portland Business Network. Francesca Burch joined the Lifelong Wealth Management team as a recent graduate of Oregon State University with a bachelors degree in Digital Communications and Psychology. Her focus is building elite client experiences and brand awareness for the company. Francesca believes in digital communications as a great platform to shape the public’s view of finances. She wants to help build wealth for individuals by helping them identify their core purpose and goals. In her free time, she loves to travel, cook, and go on all sorts of adventures with her friends and family.